Okaloosa County takes speeding in school zones seriously. As students go back to school, it's crucial to your bank account that you pay attention. 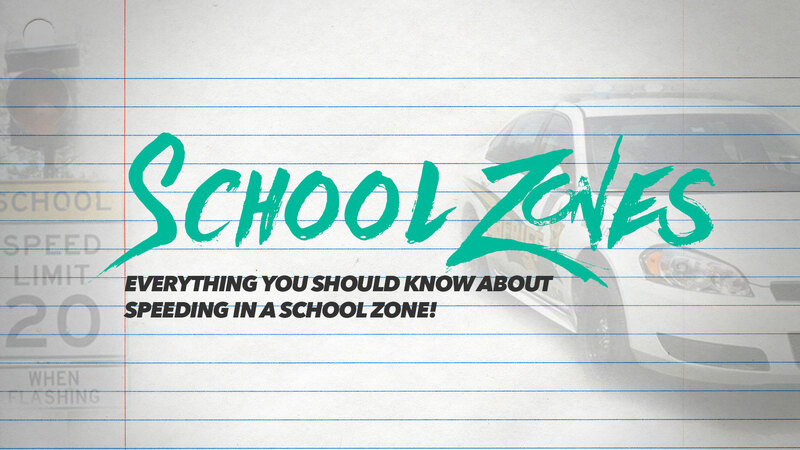 With the 2015-2016 school year upon us for Okaloosa County schools, it’s officially time to start thinking about and remembering school zones. School has been out all summer and the early morning commute to work is always more peaceful with less traffic on the road, and when we don’t have to worry about school zones. But every good thing must come to an end as the kids go back to school and we embark on another school year. So as you hit the roads starting on August 17, 2015, start paying close attention to when you are near a school, and where the school zone starts and ends. By law, an officer is required to write a speeding citation to anyone caught speeding in a school zone. Fines are doubled for speeding in a school zone. Get caught speeding more than 30 mph over the speed limit in a school zone and the fine could cost you $555.50. Special speed limit signs are posted around schools to alert you as you enter the zone. These signs have flashing lights to tell you when the lower speed limit is in effect. And there is a sign to indicate when you have left the school zone. When a school bus stops you must stop. Never pass a school bus that is loading or unloading children. Passing a stopped school bus is a 4 point infraction! I was curious to see how many traffic tickets were issued last school year for Okaloosa County. The Clerk Of Courts confirms that there were 195 total, with 2 of those being a bus violation. A bus violation could mean that the driver passed a school bus or there was a failure to stop for a school bus. Schools in Florida require a minimum of 180 school days during a school year, with Okaloosa County Schools staying close to that number. With 195 tickets issued last year, that’s roughly 1.083 tickets every school day of the year! YIKES! The Traffic Unit strictly enforces speeds in school zones throughout Okaloosa County. I don’t want you to get a school zone violation this year. While this article won’t save you from getting one, I hope that you become more aware of the school zones as we start the new year. So let’s all look for the school zones and watch for buses stopping because I’m sure we can all spend $550.50 on something better than a ticket!